Ronald Ray Brooks was born on August 16th, 1948 to Leslie Wayne Brooks and Alice Marie Brooks in Roy, Utah. He was taken from us suddenly on November 23, 2018, at the young age of 70. Ron was a graduate of Roy High and was drafted during the Vietnam era. He was honored to serve his country in the US Army from 1968-1970. Ron was proud to be a Union Pacific Railroad employee for over 25 years and recently celebrated his retirement by riding the famous rails of the Durango Silverton Railroad. He married his soulmate, Nelda Brooks in 1995 and always considered her daughters to be his. Ron and Nelda purchased their dream home in 2002 in West Point where they assumed, they would grow old together. Ron stood by her side every second while she battled and lost her fight to cancer in 2010. When he had a long weekend, you could find him camping with family, fishing, hunting or running off to Wendover or “Bendover” as he called it, to toss some money in the slots. Ron was an active member of the American Legion Post #134 in Clearfield and leaves behind many friends that he considered family. Ron was an amazing Pop to his grandchildren and would always slip them pocket money, keep ice cream stocked in the freezer and loved to spend as much time with them as possible. 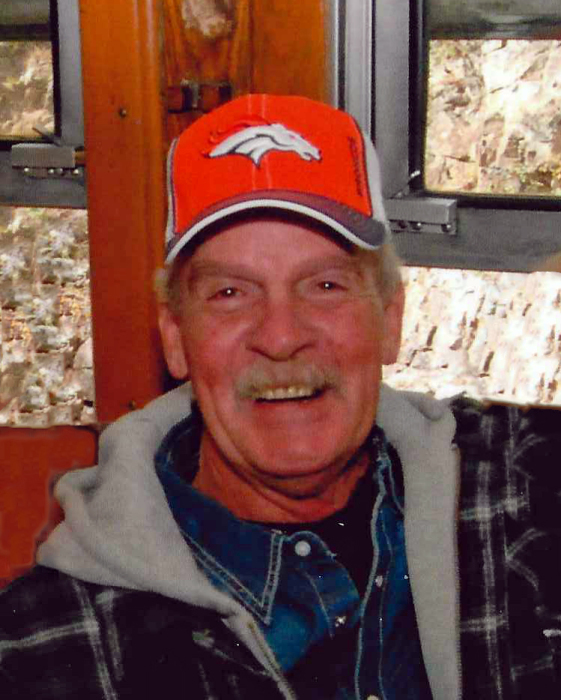 He was a devoted fan of the Denver Broncos and he was always delighted to watch a game with his daughter and grandson. Ron was also an avid baseball fan and loved traveling to AZ to catch as many spring training games as he could. He moved to Mesa, AZ in 2017 to enjoy the winters with sunshine instead of snow and never missed an opportunity to sit in the stands at a D-backs game with one of his sons-in-law. Our hearts are heavy, but we know there were so many loved ones waiting for your return. Hug your daughter tight, give our mom a hug from us and set that Yahtzee table up for one heck of a game!!! He is preceded in death by his wife Nelda Brooks; Daughter Tonya Lyn Brooks and his parents. Ron is survived by daughters, Lynette (Curtis) Clemens, Shery (Tony) Marchese, Jaylene (Brian) Bruce; and son Tyson Brooks. His siblings Elton Brooks, Karen O’Brien, Roy (Judy) Brooks, Steven (Teenie) Brooks and Clarence (Myrna) Brooks; 9 grandchildren and numerous nieces and nephews. Please join us in remembering Ron at 2:00 p.m. on Monday, December 10th, at Leavitt’s Mortuary, 836 36th Street, Ogden, UT. Family is welcome to a private viewing from 12:45 to 1:45. Interment at Washington Heights Memorial Park. A celebration of life will follow the services at the American Legion Post #134 located at 345 Depot St, Clearfield, UT. For memorial contributions in his name, the family has designated the American Legion.